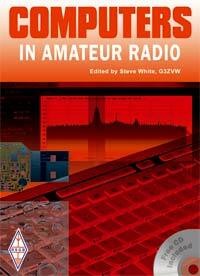 After my talk at the RSGB Convention on the Raspberry Pi I was approached to see if I’d be interested in doing a chapter for the Computers in Amateur Radio book on the PI. I accepted and just before Christmas I submitted my chapter on the Raspberry Pi and I spotted in Radcom this month that its now available for purchase from the RSGB Shop. Hopefully readers will find it a nice introduction to the PI and what its capable of doing. Congratulations Peter I must get a copy.